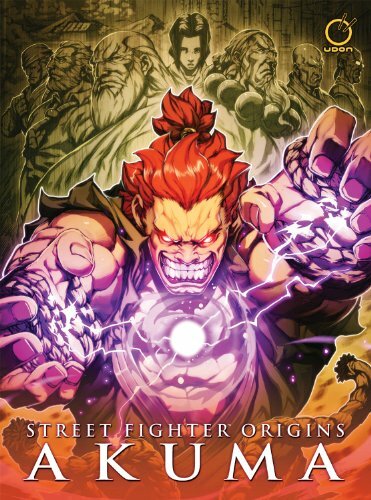 Here's an upcoming look at Street Fighter Origins: Akuma which will be released in September 2013. I received this early copy thanks to Udon Entertainment. Chris Sarracini wrote the story and Joe Ng drew the art. The story follows a childhood Akuma and looks at his development until he was consumed by his own demons. Gouken is also in the story and the final fight is with him. The art is great but the plot is pretty straightforward. For a character as intense as Akuma, the story could have been developed further. You learn who Akuma trained with, but there's nothing on how he developed his special powers. There's still a lot of mystery surrounding Akuma even with this revelation of his origins. The back pages collect the comic layout sketches and video game art of Akuma.